Auto major Tata Motors has roped in soccer superstar Lionel Messi as global brand ambassador for its passenger vehicles portfolio. The company has signed-up the four-time winner of the best football player of the world award and Argentine captain Messi as global brand ambassador to promote and endorse passenger vehicles, globally, Tata Motors said on Monday. 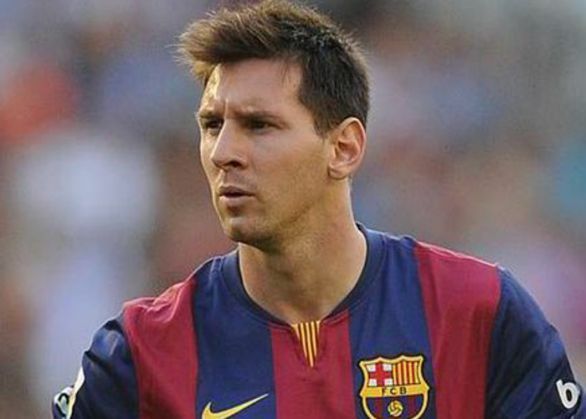 "The idea is to engage with young people and we found that football and Messi had a lot of connect with the youth," Tata Motors President, Passenger Vehicle Business Unit Mayank Pareek told PTI. This is the first time ever that the company's passenger vehicle business will be undertaking an overall brand association campaign -- 'What drives us from within is what makes us great', with a brand ambassador. "Through this powerful campaign we will communicate the values and ethos of the passenger vehicle business," Pareek said. The company looks to expand its footprint across the globe and Messi's unique ability to appeal globally, transcending geographies, makes him ideal person to represent Tata Motors' brand, internationally, he added. "This is the first campaign in the series and many more will unfold as we move on in this long-term association. We hope our customers like this new campaign and we look forward to their continued support," Pareek said. Messi, who is endorsing an Indian brand for the first time said: "I am very excited about my first association with an Indian brand and am extremely thrilled to be a part of the Tata Motors family. I have always been fascinated by India and have heard such great things about this diverse country." Tata Motors, which is India's largest automobile company with consolidated revenues of Rs 2,62,796 crore in 2014-15, will soon launch an exclusive, limited edition merchandising range of this association.